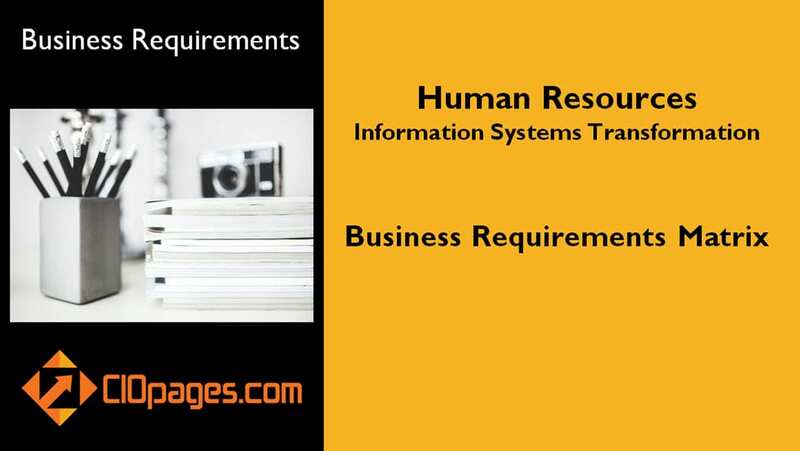 HR Business Requirements is a comprehensive, industry-agnostic, multi-purpose Human Resources functional area business requirements matrix. The customizable HR Business Requirements are a starting point for any enterprise HR transformation. What do I get in HR Business Requirements? A spreadsheet with about ~400 Human Resources Information Systems Transformation – Business Requirements, customizable to your enterprise needs. What are HR Business Requirements? Today, the Human Resources (or Human Capital Management) function has become a strategic lever for many companies. Reinventing HR and bringing it to the digital era has been the focus of many of the HR transformation programs. Depending on the expansiveness of the Human Resources transformation, it may span a change in operating model, underlying processes, restructuring of HR services, and enhancing the HR stakeholder experience. More often than not, the HR transformation includes re-platforming the HRIS/HRMS systems. Business analysts interview HR subject matter experts to gather business needs. Reverse engineer key requirements from existing systems. Instead of weeks and months of efforts, the CIOPages.com Human Resources Business Requirements can help jumpstart the requirements endeavor and accelerate time to value. 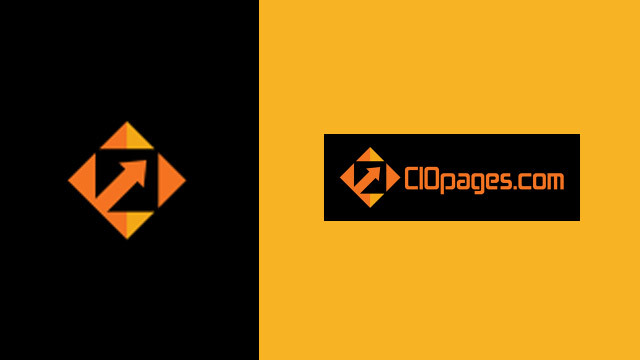 The CIOPages.com HR BRD to allow HRIS project teams to customize the requirements to the needs of the enterprise. What is the format of HR Business Requirements? Each of the requirements conforms to “Can do something” format. Of course, it is easy to modify from “Can do” to “Should/Must be able to do Something” or any other format. If you need to translate them into Agile Stories in the traditional form: “As a <type of user>, I want <some goal> so that <outcome>” it is easy to do the translation. If you need help, let us know. As the HR Business Requirements is a digital product, there are absolutely NO Returns. Depending on your industry, the type of HR policies and practices you follow, and the scope of your transformation, some of the requirements may not be relevant to you. Are these really “Business Requirements”? Indeed they are REAL business requirements. Experienced consultants with domain expertise conceptualized and created the transformation requirements. The Human Resources Transformation business requirements encompass all key areas of human resources functions. How should we use the HR Business Requirements? More often than not, in every significant (and sometimes medium-sized) enterprise, a cross-functional team of business/technology/architecture teams spend countless hours in conference rooms trying to whiteboard and write business requirements from scratch. The more time they devote to the core and standard requirements, the more likely they will miss out on something unique and relevant to the firm. Instead, using our HRIS requirements matrix, you can focus on what’s different and unique about your situation. That is you can spend 90% of your time on the 10% of the requirements that matter. And only 10% of your time on the 90% of requirements that are table stakes. Please remember that HR business requirements are one of the components of an HR Transformation Framework and a driver of the HR Transformation Roadmap. But, our Company is Unique – will it fit us? Of course, you are unique but not as unique as a unicorn! We understand and acknowledge each company is slightly different concerning some capabilities as well as how they work. However, while there may be divergence at the edges, there is a lot of convergence at the core between most firms. You need to prospect, recruit, hire, pay, manage and grow your employees – the differences may be in the relative emphasis of a few of the critical processes and absence or presence of specific requirements and workflows based on your unique needs. Last but not the least, we don’t expect our HR Transformation Business Requirements (or any other matrix/template, in fact) to fit you 100%. We hope you to take this set of the needs as a straw model or a base set of requirements, and a springboard to achieving the level customization and specificity in business requirements you desire. Not to toot our own horn, but if you need professional services help to tailor the model to your needs and capture your firm’s unique essence, we can also help. Contact Us for Advisory Service details. But, we have an HR Business Requirements Matrix already? Well, in that case, either you can go with it, or if you need to validate and cross-reference, you will still find our business requirements matrix valuable. After all, the price is less than the one-hour of time spent on the combined brainpower assembled in the room. Typically, it takes a team of 4-5 to draft the business requirements. Human Resource Functional Experts – 2 or 3 to represent the broad spectrum of areas. Now you can multiply the average hourly cost of the team and the hours spent, and you’ll get the story. In addition to the time spent and the associated costs of drafting routine requirements, you also have an opportunity cost. By quickly adding/deleting/modifying the base set of requirements, it will allow you the luxury of spending the balance of your quality time in conceptualizing and crafting the unique and specific Business Requirements, which capture the core essence of your company and its HR practices, principles, and perspectives. Of course, let’s not forget the “Day Job” each of the SMEs (subject matter experts) could be doing. Instead of spending countless hours stretched across weeks or months, you can have a baseline of HR requirements in a couple of sittings. That helps you expedite and accelerate the transformation. HR Business Requirements is available at a steep discount as a part of the HR Transformation Toolkit Consultancy Edition. Would you rather consider purchasing the bundle?